look no further. HealthTech Cleaning Systems, Inc. provides eco-friendly carpet cleaning at an affordable price. Over time, your carpeting gets spots and traffic patterns that become increasingly difficult to remove, except by professional carpet cleaning technicians. However, many companies use wet-cleaning methods and harsh chemicals, which may not be not the best choice, especially if you have children or pets. With our carpet cleaning system, you can walk on your carpets immediately. HealthTech uses a special eco-friendly carpet cleaning process that is chemical-free and uses dry extraction carpet cleaning method. This helps you avoid wet, soggy carpet that takes hours to dry. Many wet-cleaning methods also leave behind dirty water, soapy residue that attracts soil faster, recurring spots and what some people call “a wet dog smell.” Additionally, you shouldn’t have to worry about toxins or chemicals in your house, especially if you have children or pets. That’s why we offer green carpet cleaning with Green Seal Certified products, which don’t leave any harmful residue or odor. 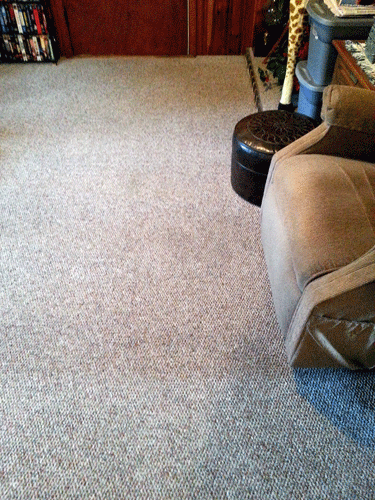 Our eco-friendly carpet cleaning method is quick and efficient and is ready for traffic immediately after cleaning. We use different textured brushes to clean different carpeting and rugs, especially on natural fibers like wool, silk or other blends for area rugs. We offer in-home area rug cleaning over hardwood floors. Health Tech Cleaning Systems can be found on Angie's List. Click logo to see our ratings and reviews! Health Tech Cleaning Systems is on Yelp for your convenience! Click logo to see how we please our customers!